CALRE, the acronym of the Conference of European Regional Legislative Assemblies, unites seventy-four presidents of European regional legislative assemblies: the Presidents of the Regional Assemblies of Italy, Spain, Belgium, Germany, Austria, United Kingdom ( Wales, Scotland, Northern Ireland), Portugal (Azores and Madeira), and Finland (Åland Islands). The Declaration of the Assembly of European Regions (Basle, 1996) in its article 12.1 proposed mechanisms for contact between the European Parliament and Regional Parliaments, considering that they are institutions representing the direct will of citizens. The Stuttgart theses, developed in May 1997 during an International Conference organised by the Landtag of Baden-Würtemberg in collaboration with the European Centre for Research on Federalism of Tübingen, on the role of Regional Parliaments of the European Union in European policy. The Declaration signed by Germany, Austria and Belgium in October 1997, referring to one of the Stuttgart theses on the principle of subsidiarity established by the Maastricht Treaty. This declaration predicated the extension of this principle not only in the relationship between the Union and the Member States but also the Lander and other Regions considering that they have been attributed legislative power assigned by the national Constitution. The possibility of the Regions directly defending their legislative power before the Tribunal of Justice. The drafting of a clear list of the qualifications of the Regions which would have to be included in any Treaties of the European Union. 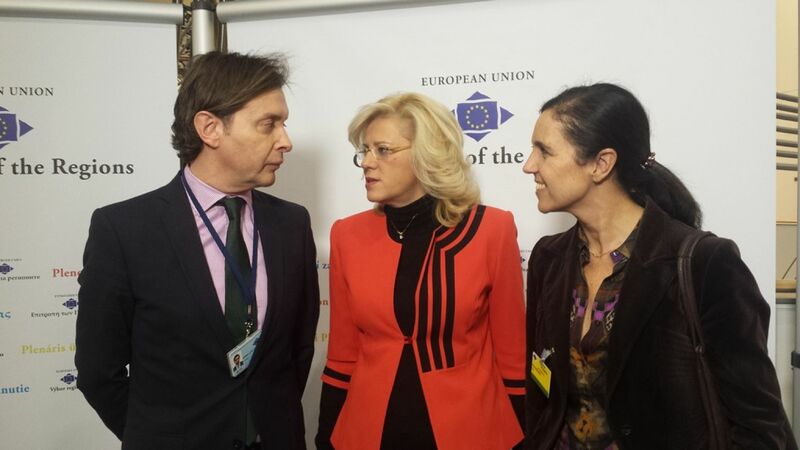 Strengthening of the collaboration between the European Parliament and the Regional Parliaments, without reducing the qualifications of the Committee of the Regions. The importance of the relationship between Lander and Regions with legislative power to spread the feeling of European citizenship. With this objective in mind, they planned to establish a commission for European Affairs in all Regional Parliaments, as well as to launch a series of initiatives for information and exchange. The official recognition of the relationship between Regional Legislative Assemblies and the European Parliament and its inclusion in the text of the Treaty. 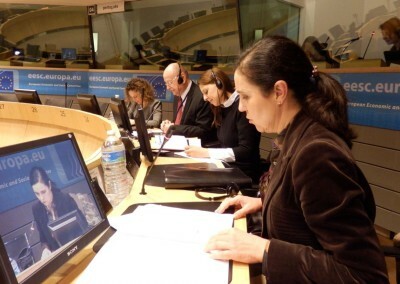 While at the same time it also requested a modification of the Regulations governing the European Parliament in order to allow the participation of representatives of CALRE in the work of the Commission related to regional policies as well as in other commissions studying questions that have regional repercussions. The participation of the Legislative Assemblies of the Regions in the approval of decisions relative to social and territorial cohesion as well as those related to the extension of the Union. In Santiago de Compostela on 28 October 2000, CALRE defined its action in relation to the modification of the Treaties. The Conference heard presentations from the main participants in the reform of the Treaties, with the presence, to illustrate the year 2000 Intergovernmental Conference, of personal representatives of the presidents of the Governments of Member States and ambassadors of Permanent Representations before the European Union. CALRE finally adopted a Resolution on the Charter of Fundamental Rights. The 5th Conference of European Regional Legislative Assemblies took place in Funchal (Madeira), from October 28 to 30, 2001, in which, apart from approving new Regulations to replace the very abbreviated regulations approved in 1999 during the Conference in Florence, unanimously adopted a document entitled “Declaration of Madeira”, that emphasised the need for a correct and balanced attribution of qualifications on a European, State and Regional level (particularly within the framework of the follow-up of the European Agreement and the Intergovernmental Conference of 2003). 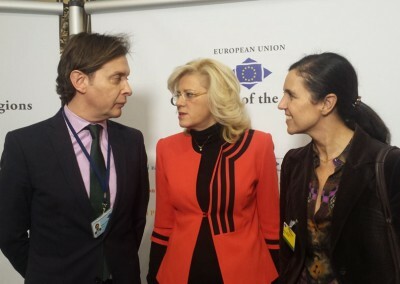 The Conference also adopted a document from the Parliament of Catalonia on the relationship between regional parliaments and the European Parliament and studied a report from the Presidents of the Parliaments of the Aosta Valley and Northern Ireland on regional parliaments in the era of the Internet. It also adopted a declaration relative to terrorism. The 6th Conference of European Regional Legislative Assemblies took place on 28 and 29 October 2002 in Brussels. The Conference unanimously adopted what has become known as the “Declaration of Brussels”, by which the presidents emphasised the need to reinforce the relations of CALRE with the European Parliament and the Committee of the Regions and its willingness to actively participate and contribute to the work of the European Convention. The 7th Conference took place in Reggio Calabria on 27 and 28 October 2003. In it, among others documents, it adopted the “Declaration of Reggio Calabria”, in which the presidents of the European Regional Legislative Assemblies made a statement on the work of the European Convention. They also mentioned, among other matters, the establishment of contacts with the presidents of the Conference of the Community and European Affairs Committees (COSAC) and the relationship with the European Parliament, the Committee of the Regions, and the Commission. As appendices to the declaration, CALRE included a document on the strategies of the Conference and its working programme, the final declaration of the 4th Conference of the Speakers of the Parliaments of the European Union’s City Regions which had been held in Berlin from 23 to 25 of February 2003, the declaration of the presidents of the Legislative Assemblies of European Island Regions members of CALRE, who met in Caller on 2 May 2003, and also a document on the commitments of the regional parliaments in relation to new information technologies. The 8th plenary session of CALRE took place on 25 and 26 October 2004 in Milan. The meeting discussed the project for the Treaty establishing a Constitution for Europe and the principle of subsidiarity; the application of the principles of governability and cooperation with the European Commission by establishing the so-called “Structured Territorial Dialogue”; European inter-parliamentary cooperation and COSAC; regional representation and democracy; federalism, regionalism and decentralisation; and the desire to reinforce the cooperation with European and national institutions. All this was included in the “Declaration of Milan”, which also included as appendices a specific declaration on the new Constitutional Treaty and application of the principle of subsidiarity, another on the ratification of the Constitutional Treaty and support for the European idea and, finally, one on Euromediterranean inter-parliamentary cooperation. The 9th Plenary Session was held in Barcelona on 24 and 25 October 2005. The “Catalonia Declaration”, which includes issues such as Community recognition of the regions with legislative power and of their parliaments, was approved at this Plenary Session. Also included is the request to the European Commission and to the other institutions for measures required in order to implement procedures that enable the regional parliaments with legislative power to participate in controlling the principle of subsidiarity, within the framework of the new reality of the enlargement of the European Union and the achieving of an Economic and Monetary Union. Emphasis was also placed on reinforcing the process of regionalisation and of decentralisation through awareness of different regional experiences and cooperation actions. Added to this Declaration is an annex on the proposals for regional parliaments to participate in the system to control the principles of subsidiarity and proportionality. On 30 and 31 October 2006, the 10th Conference of the European Regional Legislative Assemblies (CALRE) Plenary Session was held in Venice. During this meeting, held on the tenth anniversary of the founding of CALRE, application of the principle of subsidiarity, the new procedure implemented by the Commission and the results of the experimental work for the network of consultations on subsidiarity carried out by Municipal and Local Authorities without legislative power were all highlighted. The need to recognise the constitutional role of the Regions with legislative power, in a protocol enclosed in the Treaties, is also indicated. Other considerations included in the “Venice Declaration” are the need for inter-parliamentary cooperation and the important role that Legislative Parliaments in the European Union play when informing citizens on issues of enlargement and dialogue with the new Member States of the Union. This Declaration ends by acknowledging the work carried out by the CALRE working groups and also by Community institutions and by congratulating the establishment of an internal group of Regions with legislative power inside the Committee of the Regions. On 22 and 23 October 2007, the 11th Conference of Presidents of the Conference of the European Regional Legislative Assemblies was held in Berlin. The “Berlin Declaration” was approved at this meeting, laying down the general guidelines for CALRE activity during 2008. Special attention was paid to the European Union Reform Treaty during the meeting in Berlin, emphasising the progress that it has meant for the regions in Europe, in spite of affecting the need to reinforce parliamentary cooperation. As regards the principle of subsidiarity, the Presidents attending welcome the advances included in the new text, with the exception of certain criteria carried out by the Commission in applying this principle. The regional policy included in the budgetary reform by the Commission is cause for concern, in view of the condition of the regional parliaments themselves as legislators of regional budgets. Finally, several annex Declarations were approved during the course of this meeting: on climate change, Fiscal Federalism and a resolution to support the Charter for Regional Democracy.